I had occasion to visit Jerusalem’s Notre Dame Center the other day and received some information on the current status of the excavations at Magdala, particularly how one might arrange a visit to the site. The Notre Dame connection comes from the fact that the same people, the Catholic movement Legionaries of Christ, are in charge of both places: the Center in Jerusalem and the large piece of property at Magdala on the Sea of Galilee. The Magdala site is slated to become a large pilgrim facility (hence, the excavations) on which construction in fact is already underway. 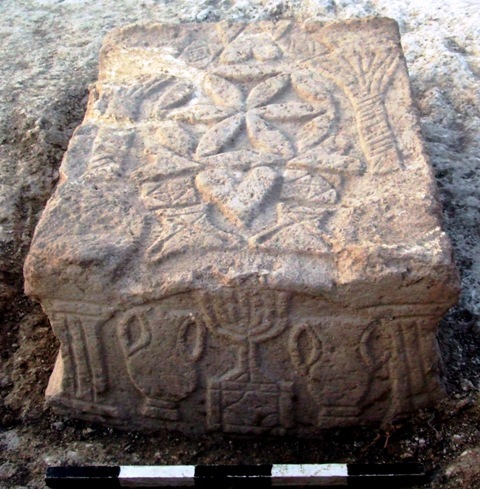 The carved stone unearthed at ancient Magdala. A replica is on view in the Notre Dame Center lobby in Jerusalem. The Magdala Center project, as it is called, is detailed on their web-site, HERE. If anyone is in Jerusalem, there is an informational display area in the Notre Dame lobby, one feature of which is a replica of the carved stone bearing a menorah which was excavated on the site (see photo). The Legionaries are also glad to host groups at Notre Dame to explain the project, the excavations, etc. The person to contact for such is Mr. Eduardo Guerra (not “Father”, as I repeatedly called him! ); his e-mail is eguerra@grupointeger.com. About the excavations: Much information is available on this web-log. As has been publicized elsewhere, they have put out a call for volunteers to come and help dig and are even providing room and board for up to 30 days, which is quite unusual. They seem to want people who can come and spend a few weeks, though. Again, the person to contact about volunteering to dig is Mr. Guerra. The person I talked to, Veronica, stated that they are glad to have visitors come to the Magdala site to see what they’re doing. The best bet is to arrange this in advance, once again through Mr. Guerra. For one thing, they have to notify the guard at the site to look for you and let you in at the gate. It sounds like the digging is going on pretty much all the time, though — they don’t have a set “season” as at most other excavations. 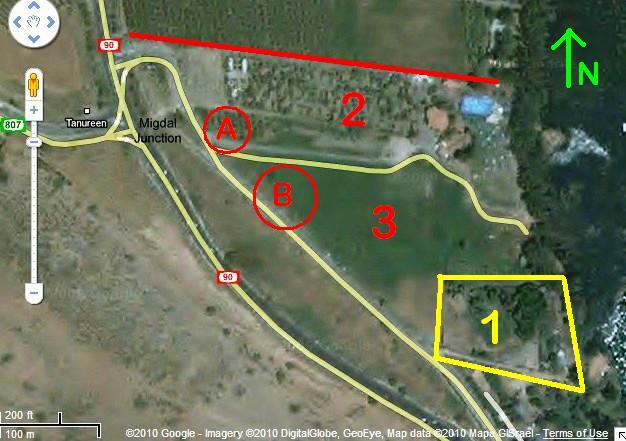 The areas labelled in red “2” and “3” together make up the Legionaries Magdala Center site; the red line marks it’s northern boundary. Area 2 is now described as “closed” and the excavations there completed. It is there that the early stages of construction are already underway (the photo shows an old holiday village, which of course is all gone now). “A” is the approximate location of the “synagogue” which was so much in the news a while back and the topic of a previous post of mine. The “synagogue”, they say, will be preserved in the vicinity of the center’s main entrance, the plans for which are being revised to accommodate the ancient remains. Apparently, nothing else too exciting was found in area 2; some residential structures is all that was mentioned. By the way, even though the area is now closed, the “synagogue” should be viewable by visitors to the site who request to see it. Area 3, especially at “B”, is where excavations are going on at present and where you are likely to find the archaeologists and other staff if you should visit. [UPDATE, 2012: Almost the entire strip of land “3” has now been excavated, or is under excavation!] The excavation director is a Mexican archaeologist named Marcela Zapata, according to the web-log. They are projecting that it will take three years to thoroughly excavate this parcel. Again, it will be interesting to see how this new work will connect to what the Franciscans did in the past. By the way, if you happen to visit Mount Arbel, the area under discussion here is visible from the summit. You have to walk a bit to the east of the developed viewpoint, however (preferably without going over the edge!). Bring your binoculars. The Franciscan Media Center has released a short video highlighting the 2014 official opening of the Magdala Center, the elaborate pilgrim facilities that are being created adjacent to the excavated ruins of the ancient town. It will give you some sense of the current appearance of the site and how the antiquities are being preserved and presented. 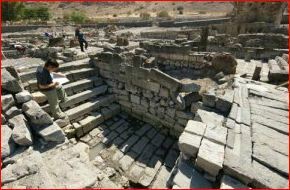 Read this RELATED POST about the Magdala “synagogue”. This entry was posted in Antiquities, Archaeology, Galilee, Kinneret, Magdala, Sea of Galilee and tagged Archaeology, Galilee, Legionairies of Christ, Magdala, Magdala Center, Sea of Galilee, Studium Biblicum Franciscanum (SBF). Bookmark the permalink. 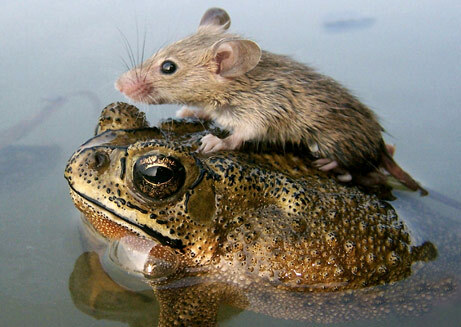 Tom – thank you for this explanation. I now have an easy answer for those who ask. The site is now open to the public, no admission but they request a donation to support the work. I visited last week with a tour. The carved stone on site is also a copy, the original will be on display at the Israel museum (at some point). The ritual baths (mikva’ot) and water system that supports them are interesting.